Or read the book online below. In this short book, we present six compelling stories from leaders who have devoted themselves to helping hurting children. It is our hope that these stories will inspire you as you consider launching a DC4K group at your own church. Pastors: Share it with church members who might want to start a DC4K group. Current DC4K leaders: Use it to recruit new members to your team. Future DC4K leaders: Share it with your pastor and fellow church members to cast a vision for a DC4K group. DivorceCare for Kids (DC4K) enables your church to offer a fun, safe place where children can heal from the pain of divorce. We help you equip a lay-led team for effective ministry to children in your church and throughout your community. Through DC4K, you can provide biblical, Christ-centered help for the hurting children of divorce. The purpose of DivorceCare for Kids is to transform children’s lives impacted by the pain of divorce or separation. But DC4K has another ancillary benefit—changing and improving the lives of those who lead the groups. The stories of transformation of these leaders are many. In this short book, we present six compelling stories from leaders who have devoted themselves to helping hurting children. It is our hope that these stories will inspire you as you consider launching a DC4K group at your own church. To begin a DC4K group, go to page 24 or visit www.dc4k.org/startagroup. Begin this exciting journey there. This book is dedicated to all DC4K leaders—the thousands of men and women who have used the curriculum to bring God’s healing touch to so many children. 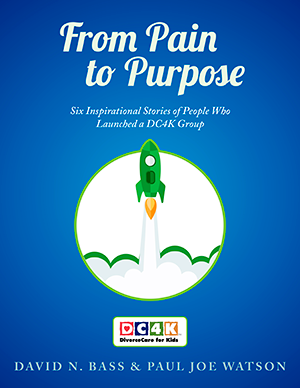 In a small way, the six stories contained in this book reflect the countless stories of renewal and redemption that DC4K leaders around the world share in common. Our thanks goes out to them. Nicky Cacciola was drawn to DC4K after experiencing divorce firsthand as a child and firsthand as an adult. For nearly seven years, Nicky has led the DC4K ministry in her church in Bowie, Maryland. When talking with Nicky Cacciola about her experience with DivorceCare for Kids, one of the first things she’ll say is that, for her, divorce is closely personal. “I’ve been affected by divorce as a child, and right out of the gates, I was divorced as a young adult,” she said. After Nicky and Randy joined Grace Baptist Church in Bowie, Maryland, she decided to participate in a ministry. Nicky desired to use her past experience with divorce to help others who had gone through family breakup. But she and Randy also wanted to serve somewhere together, and since he had worked with kids before, they combined their interests to serve both children and those impacted by divorce. DC4K was an obvious choice. At the time, however, Grace Baptist didn’t have a DC4K program. Not to be deterred, Nicky and Randy took on the task of starting the program at their church. That was almost seven years ago. Today, Nicky is leading a large DC4K team that ministers to children touched by divorce. But, she noted, the journey since her early days with the program hasn’t been easy. Nicky has had to trust the Lord to provide volunteers for the program—especially when they needed specific volunteers. For instance, there was a time when the program needed a volunteer to provide snacks and another to help with crafts. This caused a measure of anxiety in Nicky that she had to surrender to God. When she did so, fully turning her worries on the matter over to Him, the Lord sent her the volunteers she had prayed for, plus a few extra. Currently, the program has enough volunteers to allow the church to conduct a session twice a year. The increased number of helpers is a good thing, too, because “each session is so different,” Nicky said. While some sessions contain mostly disciplined, respectful children, other sessions have children that can make teaching a challenge. Despite this, Nicky and her DC4K team continue to have a positive impact on the children. In one instance, a little girl’s stepfather was raising her after her mother abandoned them. “At first she was shy and quiet, but a few weeks in, she would walk in and give us big hugs,” Nicky said. Another one of Nicky’s stories involves a young boy who, after finishing the program, said, “Mom, I want to go to church.” He said he specifically wanted to go to Grace Baptist, because it was the church where he’d been going to the DC4K sessions. At the end of each DC4K session, Nicky debriefs her team and gives them an opportunity to share what went well and what could be improved. She ends each debriefing by asking them to pray about where God would want them to serve, and if they should continue serving with DC4K. “Everybody needs to evaluate and pray about where the Lord has them,” she said. For now, it seems God has placed Nicky and Randy Cacciola, along with a host of DC4K helpers, right where He wants them. And for kids wounded by divorce living in Bowie, Maryland, that is an encouraging thought. The life of a DC4K leader is both challenging and rewarding. 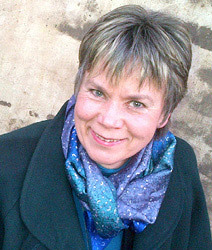 Alta Engelbrecht has experienced both tests and opportunities as a DC4K leader in South Africa. God is using Alta to bring healing to broken families in this nation. When Alta Engelbrecht experienced a divorce in 1999, the pain of her separation was magnified because her children lacked an outlet to express their grief. Her small family experienced the pain of isolation in their home near Johannesburg, South Africa. More than a decade after enduring the divorce, Alta discovered the DivorceCare for Kids curriculum. In a small way, she can make up for the fact that her children lacked access to such an excellent resource by offering it at her own church. Looking back on her life, Alta has come to realize that God specially gifted her for DC4K ministry. Despite earning a bachelor’s degree in botany, she got a job at a nursery school. That gave her experience working with small children—developing an understanding of personality types and discipline. Often, the kids were children of divorce. “I became good at reading between the lines and understanding emotions,” Alta said. Her first experience with Church Initiative materials came through a DivorceCare class at her church. At the time, she didn’t know that a recovery program was available for children as well, so she was delighted to discover DC4K. When launching DC4K at her church in 2009, her first goal was to assemble a team—in this case, of four leaders. 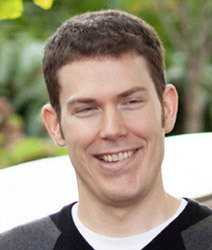 The team aspect was important to avoid burnout. For a living, Alta works as a college librarian and teaches IT classes on the side. She also has past experience as a translator. Jumping off that skill, she is working to translate the DC4K workbook into Afrikaans, one of the official languages of South Africa. 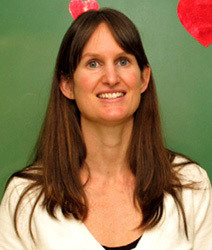 Ann Kanagy discovered DC4K at a conference in 2013. Through ministering to children of divorce, Ann Kanagy has come to see God’s provision in every circumstance. Her experience ignited a desire to help children overcome the pain of divorce. Ann first discovered the DivorceCare for Kids curriculum in 2013 at a conference. While attending a workshop on helping children impacted by divorce, she learned about DC4K—and discovered that it was the perfect ministry outlet. Today, Ann serves as a DC4K Safekeeper and ministers to children on a regular basis. With her background in human services, she also serves as the children’s ministry coordinator at her Pennsylvania church. 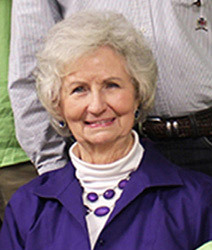 During her time as a DC4K leader, Ann has seen God work in numerous ways. One particularly memorable story is when three brothers came to her DC4K group. They were 8, 10, and 12 years-old at the time, and their parents had been divorced for several years. While in class, the boys were active—and not in the best sense of the word. “They brought a lot of stuff from home,” said Ann. “There was a lot of physical stuff going on,” such as punching, kicking, and other rough-and-tumble play not uncommon among three brothers. The class, therefore, became a lot harder to manage. An unexpected blessing came to the class in the form of three young, twenty-something men. “These three guys came in—I just love them,” Ann said. Each of these men had been through personal hardships and wanted to give back to the community. Their arrival greatly benefited the three brothers. “The fact that [the three brothers] were paired with these young men was such an answer to prayer and such a gift,” Ann said. She added that the oldest of the three young brothers, after two or three weeks of DC4K, had gotten into a fight at school. While in the guidance counselor’s office, the boy shouted, “Why do people have to get divorced?” He then began sobbing. This act of vulnerability reflected how much the boy had been impacted by the DC4K class—it showed that he was processing the fact that his parents were now divorced. As she has learned the stories of these children, Ann found her own narrative was profoundly affected. She said that through DC4K, she has come to realize even more how much God the Father loves His children. “I want to be Jesus’ hands and feet and reach out to these kids,” she said, adding that Christians are called to do so. And yet, she noted a “lack of awareness in the Christian church” regarding these children. “There are so many kids in this country missing one parent.” She said at least 40 percent of children in the United States are growing up in a single-parent home, adding that this number equals the total population of Central America. Despite the overall lack of awareness among Christians regarding this need, Ann praised DC4K’s curriculum writers for exhibiting a clear understanding of kids impacted by divorce. For instance, the curriculum states that it would be best to have snacks ready for the children, something that Ann said she was glad to have followed. “A lot of these kids come in hungry,” she said. It’s these qualities that help DC4K show the love of Jesus to children wounded by divorce. Linda Alderfer was drawn to divorce ministry after seeing the heartbreak caused by destroyed marriages in the lives of her friends. Below, we share Linda’s God-directed path and how she continues to minister to the children of divorce today. Many men and women are drawn to divorce ministry as a result of their own past journey through the pain of divorce or separation. In that respect, Linda Alderfer is an outlier—she was drawn to divorce ministry after witnessing so many of her friends’ marital lives rip apart. In spring 2004, after grieving yet another broken marriage in the life of one of her friends, Linda decided to do something about it: she ordered a DivorceCare kit for her church. As she unpacked the box, Linda noticed fliers advertising the new DivorceCare for Kids curriculum, to be released in August 2004. Not thinking much about it, Linda put the ad in her “to do” pile. But over the next several months, the snippet kept coming to the top of the pile. She prayed about the decision with her husband, and they jointly decided to buy the DC4K curriculum with their own money because their church couldn’t afford it. Linda felt called to reach all children in her community, not just those in church, so she thought outside the box. She trusted in the words of Revelation 3:8—“Behold, I have set before you an open door, which no one is able to shut. I know that you have but little power.” She approached the local public school superintendent; met with the elementary-school nurse, guidance counselor, and principals; wrote grants; and talked to local pastors and civic organizations. God continued to open doors. Linda ended up creating a remarkably successful network of DivorceCare and DC4K programs using community organizations, public schools, and churches. The large number of workbooks that Linda routinely ordered soon caught the attention of Joseph Northcut, Church Initiative’s director of church ministries. Joseph was amazed at the scale and productivity of Linda’s network. 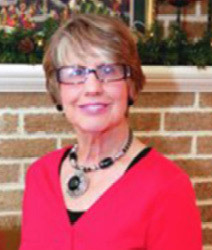 Linda’s successful DC4K and DivorceCare programs laid the groundwork for a fantastic opportunity in 2007—the chance to become a regional trainer for DC4K. She accepted the opportunity and traveled all over the United States. Soon, another opportunity arose: an opening for a DC4K director and senior ministry coach. Linda accepted the challenge and has served on the Church Initiative staff for the past seven years. Linda loves encouraging DC4K Safekeepers. She sees leaders as workers on the mission field, making a difference by building relationships, teaching healthy skills, and pointing children to Jesus. DivorceCare for Kids group leaders and members have come to know, love, and respect DC4K’s creator and developer, Linda Ranson Jacobs. Here is Linda’s story—the hard path she walked that resulted in her big heart for children’s ministry. In 1985, Linda Jacobs’ dreams of a stable two-parent family were shattered when her husband of 17 years walked out, leaving her to raise two children alone. By God’s grace, Linda’s story didn’t end there. Refusing to allow the tragedy of divorce and abandonment to define her, she used the experience, and her love for hurting children, to pursue ministry opportunities that have touched thousands of lives. Today, Linda serves as ambassador of DC4K and as the original creator of the curriculum. She is also a published author, widely respected public speaker, and consultant on non-traditional family types. At the time of her divorce in the mid-1980s, Linda lived in Oklahoma and ran a therapeutic childcare program, which mostly served children with severe emotional wounds or behavior disorders. She always had a heart for reaching children who had endured life tragedies, but her own divorce increased her desire for ministry even more. In addition to her work in the therapeutic childcare program, Linda spoke on single parenting in churches across Oklahoma and Texas. All the while, she continued to raise her two children in the knowledge of Jesus Christ. By 2002, an exciting opportunity had developed for Linda to write the DC4K curriculum for Church Initiative in North Carolina. After praying over the situation, Linda and her new husband decided to make the move to the Tar Heel State. Realizing that she needed to develop some original content, Linda crafted stories that would keep kids’ attention and illustrate the core concepts of the curriculum. “It just began to flow,” Linda said. By 2004, DC4K was available to churches for the first time. 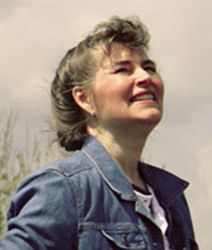 Immediately, Linda saw “unbelievable healing” in children’s lives as a result of the curriculum. Linda’s ministry hasn’t stopped with DC4K. She is also the recently published author of Attract Families to Your Church and Keep Them Coming Back. The book tackles the topic of how churches can best minister to non-traditional family types, such as divorced, single parent, boomerang kids, and blended households. 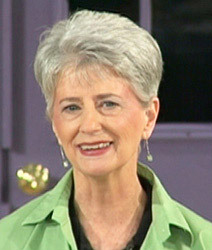 Linda wrote the book to equip the church to best minister to a culture in which the traditional family is under attack. “The only way that we can help these children is through a relationship with Jesus Christ and bringing them into the church,” she added. Operating at a small church—an average Sunday morning attendance of 140—Michelle Coyle is taking ministry to those in pain from divorce to a new level. God’s hand has clearly been on this church as it uses the teaching materials to reach their community. As a retired schoolteacher, instruction is the lifeblood of Michelle Coyle. At First Baptist Church in Milledgeville, Georgia, she oversees a care ministry program that offers both DivorceCare and DivorceCare for Kids on two nights during the week. The best part is that Michelle’s groups are young. Their first session was in January of this year. The groups have grown rapidly ever since. In the beginning, seven children attended. The next week, their numbers blossomed to 15, and Michelle opted to split the first group into two, divided by ages. Michelle was impressed from the moment she first previewed the DC4K videos. Michelle actually credits the two programs with helping to bring their small church together. Michelle has assembled a fantastic group of dedicated leaders. Many of them are retired teachers—a nice plus. One factor that helps divorced families be able to send their kids is that Michelle runs DC4K on the same night that DivorceCare meets. “Every one of our DC4K kids has a parent in DivorceCare. We also have other adults who don’t have children who are in DivorceCare—around 25 total each week, ” she said. Like any DC4K group, Michelle’s group has experienced parents who have pulled their kids out, but she and the church remain committed for the long haul. “The program is making a difference,” she said. One of their goals for the summer is to set up a publicity team to promote DC4K and DivorceCare. They want to go into schools that will allow them to pass out flyers. They also want to reach neighboring churches and post flyers around town. Through DC4K, kids are being led to Christ and discipled. The church has already baptized two young people who came through the program. We’ve made the process of ordering, planning, and starting a DC4K group at your church easy. Your DC4K kit includes all the tools you need for effective weekly children’s ministry. As a DC4K leader, you’ll enjoy access to our team of ministry coaches plus the LeaderZone, an online community and resource library that supports your mission. DC4K clearly presents the gospel. Plus, while leading DC4K, your lay leaders will build relationships with children and parents who have a variety of spiritual backgrounds. So your DC4K leaders will have many opportunities to discuss the gospel with children and their parents. More than 3,000 churches worldwide are equipped to offer DC4K. Try DC4K for 30 days with Our Satisfaction Guarantee. David Bass oversees Church Initiative’s marketing and communications infrastructure, including marketing campaigns, brand awareness expansion, social media, and blog editorial content. 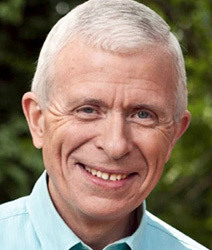 A widely published writer, David has authored hundreds of articles and columns that have appeared in dozens of local, state, and national publications. 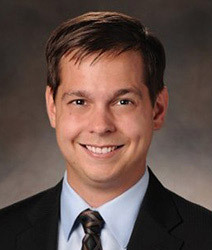 His past roles include managing a communications department for a local nonprofit philanthropic foundation and serving as an associate editor and investigative reporter at a statewide newspaper. He is also a published author. David has a B.A. in journalism. He lives in Raleigh, North Carolina, with his wife. Paul Watson holds a master’s in communications and is a published novelist. He has written for both print and web publications, and he currently serves as an editor in North Carolina. His other accomplishments include beating stage IV cancer, paying off his car, and earning the “most improved” award in first grade.